Another great design and free pattern By Souma Crochet. We have made it again and have searched fantastic Cluster Slippers in which you will feel comfort and warm. With beautiful design you will look pretty at home. Change some elements in these slippers if you don’t like something. With you experience you will crochet everything easily, so why not to make gift for our family members and friends. 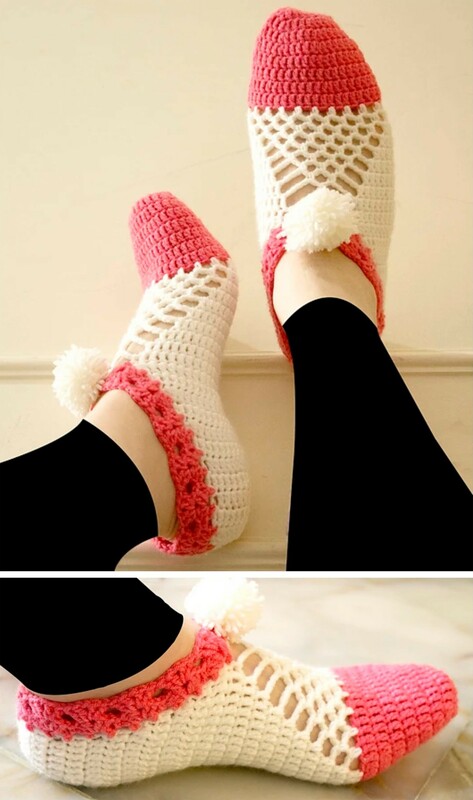 Thanks to author Souma Crochet for these amazing Cluster Slippers.